Hannah Cho and Nick Cooper have been best friends since 8th grade. They talk for hours on the phone, regularly shower each other with presents, and know everything there is to know about one another. There's just one problem: Hannah and Nick have never actually met. Hannah has spent her entire life doing what she's supposed to, but when her senior year spring break plans get ruined by a rule-breaker, she decides to break a rule or two herself. She impulsively decides to road trip to Vegas, her older sister and BFF in tow, to surprise Nick and finally declare her more-than-friend feelings for him. Hannah's romantic gesture backfires when she gets to Vegas and meets Nick's girlfriend, whom he failed to mention. And it turns out his relationship status isn't the only thing he's been lying to her about. Hannah knows the real Nick can't be that different from the online Nick she knows and loves, but now she only has one night in Sin City to figure out what her feelings for Nick really are, all while discovering how life can change when you break the rules every now and then. A funny, emotional and at times racy novel about a service connecting married men (with their wives' consent!) and divorced women. My first instinct was to give “Nookietown” two stars, but then I reconsidered because there is a strong possibility that this is a case of “it’s not you, it’s me” book syndrome. I requested it because the plot seemed like a fun and easy read. It was an easy read in the traditional sense of the phrase, but I despised the characters so much that I found myself dreading trying to finish it. There was also quite a bit of suspension-of-disbelief required, which is to be expected in a book about husband swapping, but it went way beyond what was to be expected. That being said, I really do think quite a few people will enjoy “Nookietown” and find it the perfect summer beach read. Don’t pass on it just because of my review if the premise sounds interesting to you. 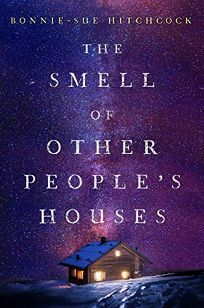 “The Smell of Other People’s Houses” is an engaging and unique literary novel that is a joy for all of the senses. What I loved most about the book is the descriptions of the sights, sounds, and obviously, the smells. They are so vivid that you feel as though you are standing in the characters’ places. Everyone knows that different houses have different smells, but the author made the smells match the personalities of those living in the houses. It’s difficult to explain, but you will see what I mean if you read the book. There are four main characters, and the story is told from each point of view. It’s very interesting to read how they interpret one another (including the smells of the others’ homes) and how their stories weave together. I also need to say that this is a wonderfully diverse book! The author grew up in Alaska and you can tell she has an intimate knowledge of the various people who make up the land. There is nothing but love for the many cultures, while also not being afraid to point out some of the systemic issues present in the area. “The Smell of Other People’s Houses” is a beautiful book meant for those who enjoy reading about the lives of others. It’s meant to be savored, not devoured, and therefore will probably be best suited for those not looking for a fast-paced plot. I can say that it is a story that will stick with me and most likely be read several more times. Herbie is a little hedgehog who is perfectly happy at home with his mother. But one day Mommy tells Herbie that it's time to go exploringall by himself! Herbie is so not sure, but ready or not, a westerly wind sweeps Herbie into the wide world...and Herbie's Big Adventure begins! Little Herbie finds that he's braver than he thinks and even makes a friend before coming safely back home to Mommy. 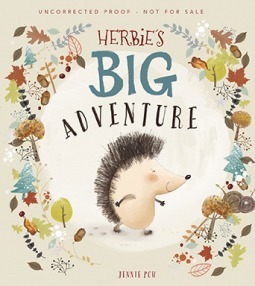 “Herbie’s Big Adventure” has adorable illustrations featuring a little hedgehog out on his first real adventure. In the story, he is afraid of going away from his mother, but finds out it was all fine in the end. It would be perfect for little ones who are anxious about going to school or other new places. My only concern is that Herbie stayed out all night, though I am sure parents will counteract that message. Otherwise, I would have given it five stars. In this third book in the New York Times bestselling Dorothy Must Die series, new girl from Kansas Amy Gumm is caught between her home—and Oz. My name is Amy Gumm. Tornadoes must have a thing about girls from Kansas, because—just like Dorothy—I got swept away on one too. I landed in Oz, where Good is Wicked, Wicked is Good, and the Wicked Witches clued me in to my true calling: Assassin. The way to stop Dorothy from destroying Oz—and Kansas—is to kill her. And I’m the only one who can do it. But I failed. Others died for my mistakes. Because of me, the portal between the worlds has been opened. And if I don’t find a way to close it? Dorothy will make sure I never get to go home again. Now it’s up to me to: join the Witches, fight for Oz, save Kansas, and stop Dorothy once and for all. I’m not even sure if I can objectively review “Yellow Brick War”, and since this one isn’t for a publisher, I’m not even going to try to be dignified. If you can’t tell, I liked the book. It may be my favorite of the series. The best plot twist isn’t even in the book. Based on the wildly popular YouTube channel, "The Haunting of Sunshine Girl" has been described as "Gilmore Girls" meets "Paranormal"
A chance discovery makes Nico, fifteen, believe that not only is Kurt Cobain, lead singer of the 1990s grung band Nirvana, still alive, but that he might be her real father. “Save Me, Kurt Cobain” is not a book meant to be read by everyone (which is in no way a bad thing), but for those it is meant for, you will enjoy it immensely. At its heart, it is the coming-of-age story of Nico Cavan, a girl who has been lost in the world since the age of four. She is an extremely well-developed character who evokes both sympathy and, at times, rage. Believe me, sometimes the reader will truly want to shake her and ask what the heck she is doing. The auxiliary characters are developed to the perfect point of being both mysterious and understood. In other words, you see them as Nico sees them. The book is also a love story to music. While Nirvana is the central band, as is obvious from the title, there are many other good ones mentioned. I really hope some of the younger readers will give them a try. I grew up in the Kurt Cobain era, and the facts and stories about him brought an intense wave of nostalgia. Though I do have to admit I felt ancient when they were classified as oldies that parents listen to. Many of the facts presented I had never heard, and I found that to add quite a bit of enjoyment to my reading experience. My only complaint is that the beginning of the book seems to drag somewhat. All of it is important to where the story goes, so please remember that if you are tempted to stop reading. It is totally worth it. “Save Me, Kurt Cobain” will appeal to all of the audiophiles, artists, “freaks”, and the lost. It’s perfect for both young adults and adults. “This is Your Life, Harriet Chance” is unlike any other book I have read. It combines a series of past events presented in the style of the game show “This is Your Life”, the ghost of a recently deceased husband, and a family whose dirty laundry is slowly being hung out for all to see. This is definitely a meandering book and will best be appreciated by those who enjoy simply being along for the ride. It jumps all over between past and present. Even the flashbacks are in no particular order. The nature of Harriet’s past ranges from pure to scandalous, with everything in-between. In short, it’s a life that isn’t sugar-coated when looked back upon. The current family issues that are mixed in do a wonderful job of showing how our past can help shape our futures while not necessarily defining them. I can’t help but wonder what I would see if I looked back on my life in the same manner. 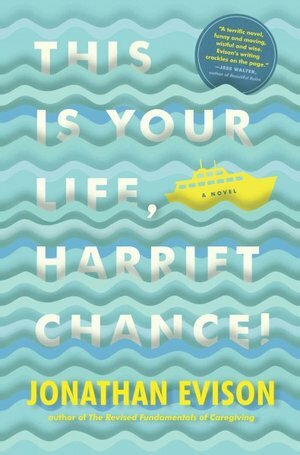 Overall, “This is Your Life, Harriet Chance!” is an enjoyable read for someone who enjoys the slice-of-life writing style.